What is a retiree's greatest risk of financial ruin? Long-term care costs? Longevity risk? Market risk? Inflation? The answer is none of these individual risks but a combination of interrelated or "dependent" risks. "The data also suggest that the majority of elder bankruptcies result from multiple interrelated crises, rather than a single unfortunate event." Note that I am talking about financial ruin or bankruptcy here and not the loss of a retiree's standard of living. I generally consider two classes of retirement plan failure: loss of standard of living and the more-severe bankruptcy or "ruin." Retirees rightfully worry about inflation, market losses, and spending too much from their retirement savings portfolio and a single "unfortunate event" may be all that is needed to suffer a loss of one's standard of living. 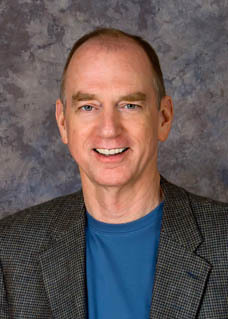 But, ruin appears to result most often from multiple dependent risks according to Dr. Thorne's research, such as an illness that results in job loss and large medical bills that, in turn, generate unserviceable credit card debt that ultimately forces the household into bankruptcy. Dependent risk losses can fall like dominoes. In my last post, Retirement is Risky Business, I listed 26 potential financial risks of retirement. I'll probably add a few in the near future, so let's call it thirty-ish. Not all of the risks on that list will apply to every household. For example, if you don't have a spouse then you obviously don't have a risk of your spouse dying. So, let's say that you are exposed to only twenty of the risks on the list. If you calculate your exposure to each of those twenty risks and total them the sum will provide an underestimate of your overall risk and perhaps even a false sense of security. Financial risks are uncertainties by definition but there are some uncertainties that we aren't even yet aware of — unknown unknowns. Not long ago we weren't aware that identity theft would one day be an issue for retirees or that credit default swaps could imperil our personal finances. There are undoubtedly risks in our retirement future that we don't yet foresee. In other words, some risks may not be on your list simply because you overlook them. The far more complicated and potentially much greater risk that will not be addressed by checking off a list of individual risks is what the risk management field refers to as "dependent risks." Here’s an analogy. Maybe you recall the classic Microsoft game Minesweeper. Imagine a similar game except that it's played on a large field with different kinds of mines scattered around to represent individual retirement risks. Let's call it Risksweeper. Each mine has a different probability of exploding, representing risk probability, and each has a different potential “blast radius” range representing risk magnitude. Classic Microsoft Minesweeper game winner and loser. The goal of Minesweeper is to figure out where the mines are and to avoid "stepping on" one and ending the game. Notice that when you step on one mine (the red one on the right) they all explode. 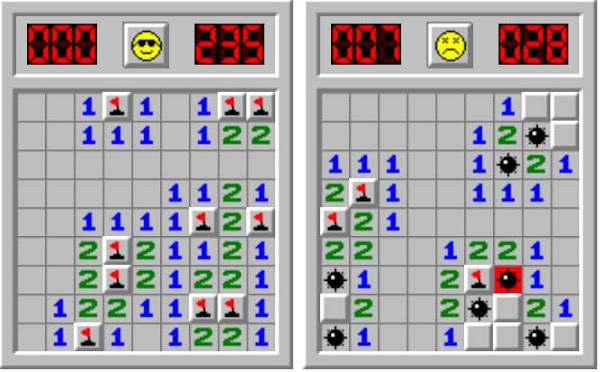 In the Risksweeper game, stepping on a single mine can end the game or only leave the player weakened but stepping on a mine that causes other mines to explode is likely to mean "game over." 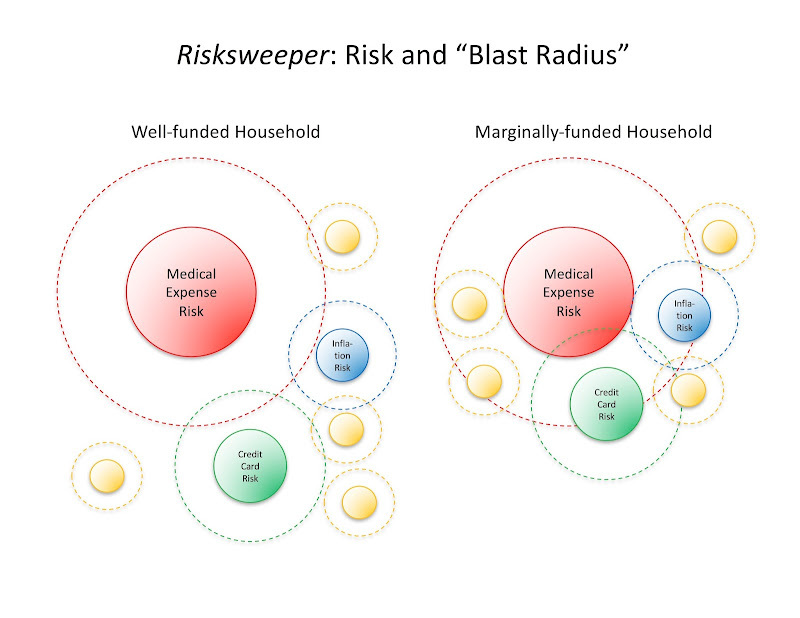 The Risksweeper mine that I'll call “Medical Expense Risk” can make a small bang with a small blast radius (a $5,000 doctor bill). If we get the small bang, it is unlikely to set off other nearby mines and result in financial ruin. On the other hand, the Medical Expense Risk mine can sometimes make a big bang (a $250,000 doctor bill) with a blast radius large enough to set off other mines. If the second mine is also a big one, like job loss, for instance, its blast radius may set off still other mines. If the third mine is large enough, the field starts to look like one of those mouse-trap-and-ping-pong-ball demonstrations of a nuclear chain reaction or like Dr. Thorne’s description of interconnected losses leading to elder bankruptcy. The biggest risk on the playing board is not medical expense risk, consumer debt risk or longevity risk; it's a chain reaction of multiple dependent risks. In the following diagram, the solid circle represents the radius of a "typical" blast (a $5,000 doctor bill, for example) and the dotted line surrounding it represents the radius of an "extreme" blast from the same risk (a $250,000 doctor bill). Risk management literature refers to the amount of connectedness, or dependency, between two risks as probabilistic distance. The less wealth, or “safety margin”, a household has the closer together the mines are situated on the field. Less probabilistic distance between the mines means that smaller bangs are more likely to set off a chain reaction that can lead to ruin. Very wealthy retirees have very sparse “minefields” and have to be pretty unlucky for an explosion to be “extreme” enough to set off a chain reaction. A $5,000 medical expense might be easily paid by a wealthy retiree but represent an "extreme" loss to a marginally-funded household. You should also see that the retiree’s risk is not fully represented by the individual mines alone but includes the risk that one large bang can set off another and possibly even start a chain reaction of cascading financial losses leading to ruin.